Last October 9th Professor Mario Lanza was the invited speaker at the Advanced Technology Lectures of the University of Cambridge. 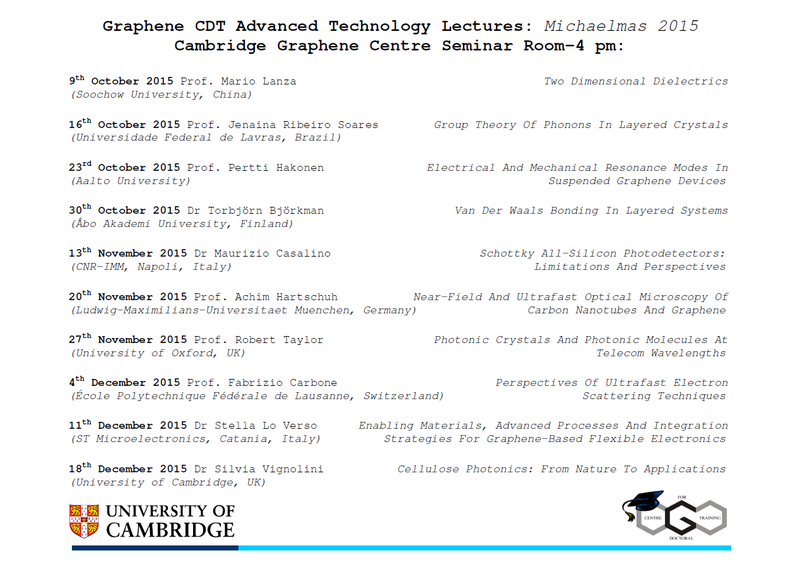 This is the first time the lectures take place at the new Graphene Research Center. In this talk Professor Lanza presented his recent progress in the field of “Two Dimensional Dielectrics”. For this talk, Professor Lanza was invited by Professor Andrea Ferrari, the director of this new institute.